Endowments create a financial bridge for students in need, enhance academic and athletic offerings, and ensure that programs and facilities are able to meet increased curriculum and technology demands. Individuals, businesses, and civic organizations have established over eight hundred endowments to strengthen the University through the SAU Foundation. These endowments provide a steady stream of income that supports students, faculty, and programs regardless of the ebb and flow of state funding and grants. As a perennial funding resource for the University, endowments are indispensable to excellence. In fact, the size of an endowment is considered a measure of institutional health because it reflects the value that donors place on the institution. 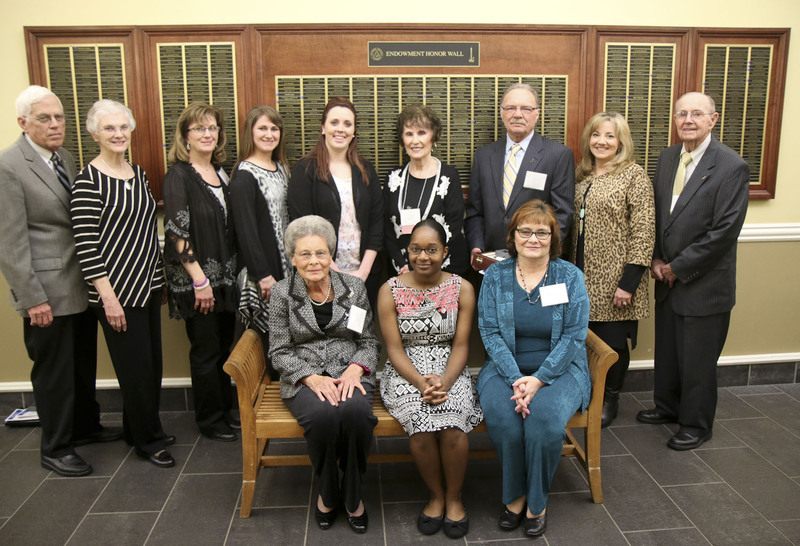 Endowment gifts from alumni and friends ensure SAU’s continued progress. 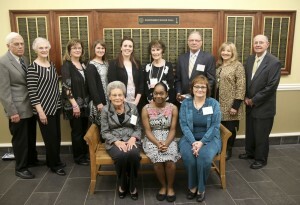 Created in accordance with the wishes of the donors and the needs of the University, endowments present a special opportunity to commemorate one’s own affection for SAU or to honor or memorialize a family member, special teacher, or other individual with a permanent fund that provides a named gift each year. The Foundation works with donors to create opportunities in areas of the donor’s greatest interest, including a specific school, department, or other campus entity. State appropriations now provide less than forty percent of the University’s budget, making endowments critical for the pursuit of excellence. vice chief of staff, U.S. Air Force. established by family and friends of Whitley Reeves Barnard (’12) to benefit a College of Business student majoring in Marketing. Dr. Rudolph Eichenberger Scholarship established by Dr. Rudolph Eichenberger to benefit a junior or senior level student majoring in Physics or Physics Engineering. Richard and Pam Murphy Endowment established by Mr. and Mrs. Richard Murphy to benefit athletics. established by friends of Lewis (’59) and Maxine Pyle (’58) Porterfield for a student in the Department of Agriculture. established by J. W. Rowe and Maxine Rowe Duren to benefit a business major from Columbia or Hempstead County. established by Dr. Bill and Barbara Scurlock to benefit all sports. established by Mr. and Mrs. Louis Blanchard to benefit an accounting major in the College of Business. Dr. Gayle Webb White (’63) Endowment established by Dr. Gayle White and Mr. Richard White to provide funds for College of Business student travel.